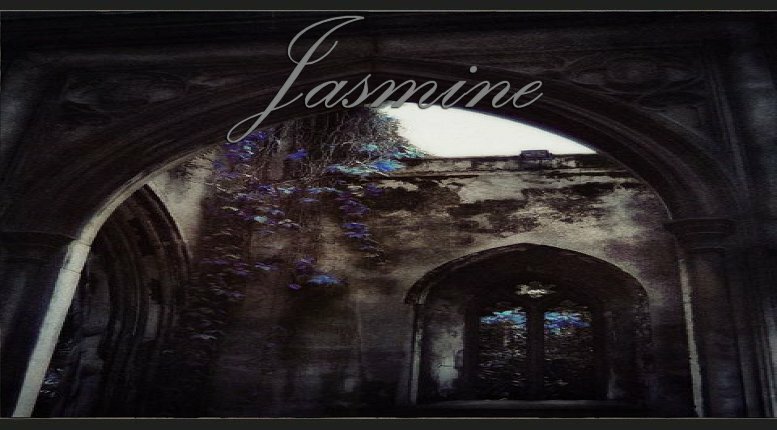 Jasmine is a city on the northern banks of the River Vosk, It has a small harbour and is a walled City , there are 3 gates, watched over by 3 towers, one North, one East & one West, Tarn wire shelters the City, The City Once thrived with sa-tarna fields and orchards with fruit trees. Groves and lumber trees, The fields were rich with Jasmine bushes that gave Jasmine its name. Jasmine flowers were collected and turned in to oils for various produce and of course jasmine's famous perfumes, now the lands are barren, The city itself has transformed now dark and dilapidated, the cobble stoned streets housed with moss and overgrowth, Only thieves, outlaws frequent this once thriving City. If you enter do so at your own peril! This room is for ADULTS ONLY, you must be 18 years old or over to enter. also NO underage avatars, PERIOD. Free Men of the Home would need to be present should a raid take place. Free Men will be respectful while visiting our City, NO threatening behaviour will be tolerated, If you are accompanied by a slave girl, you are responsible for there behaviour! Free Women of all castes are welcome . Blacks wishing to Hunt within Jasmine must seek consultation first with the Owner of the City. All combat, captures and Collarings will be judged, the prodigy system applys here. If the Owner is directly involved She will appoint a third party to judge on her behalf. Uncollared slaves without the -o- for observer will be seized upon entry. Collared slaves who enter without their Master must first have prior permission from the home to be here and will be respectful at all times, all wandering slaves will be caged for 24 hours before word is sent to there Owner/Home for them to be collected. after the 24 hours is up and the message has been sent, then and only then arrangement's will be made to collect the said slave in question .know your place or you will find a cage waiting for you. We welcome all observers and we are beginner friendly, simply add the -o- in your tags and if you have any questions feel Free to ask in the open room .